Family Smile Dentistry is proud to offer a complete on-site dental laboratory to provide our customers with custom porcelain crowns, porcelain veneers, dental bridges, onlays, custom implant abutments and crowns, and temporary dental crowns. Our in-house dental laboratory allows our dentists to partner with skilled dental technicians and ceramists. This partnership provides exceptional custom solutions for our patients, resulting in a perfect fit, with less wait! Family Smile Dentistry delivers customized dental solutions using the latest in cutting-edge technology. For the finest in aesthetic and cosmetic dental restorations, including custom implants, bridges, crowns, veneers and more…trust the on-site dental lab at Family Smile Dentistry to give you a beautiful, natural smile that last and lasts. Family Smile Dentistry uses a unique CAD/CAM system for individual all-ceramic restorations in one single appointment. 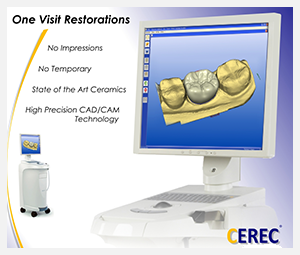 With the CEREC system we are able to achieve excellent results safely and quickly! Family Smile Dentistry strives to be at the forefront of dental care by utilizing the best innovative 3D technology solutions. 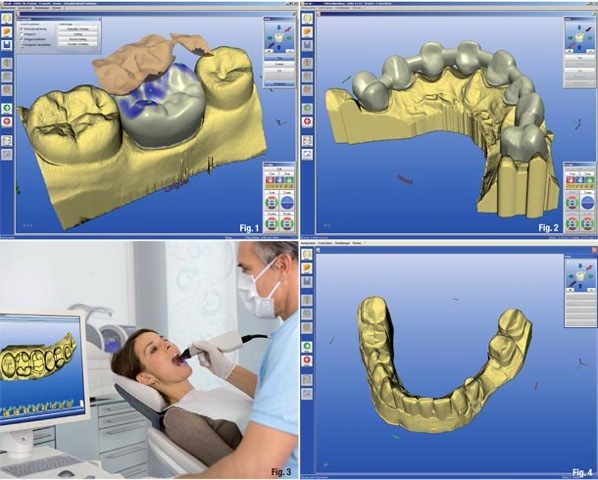 We use the best 3D diagnostic and (implant) treatment planning tools available on the market today.